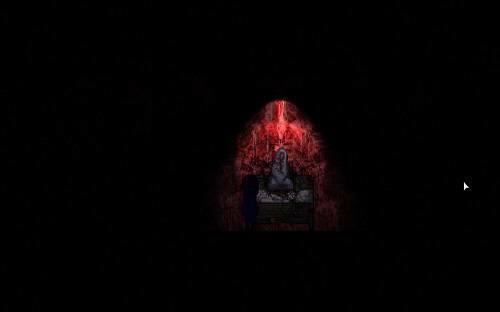 Claire, produced by Hailstorm Games, is a 2D horror indie adventure game. While Hailstorm Games was only founded in 2013, Claire proves to be a very impressive first game, boasting countless positive reviews. The game starts with you, Claire. You’re a little girl in bed, in the middle of the night. You then decide to walk out of your room to find your parents, only to be pulled backwards by a mysterious force as you reach for the door. You awake to find that it was a nightmare, and you’re in a hospital couch. It is your mother’s room. The reason why she has been hospitalised is unknown. Your dog, a German Shepherd named Anubis, accompanies you on your journey through the world which has been inexplicably shrouded in darkness. You start out in the hospital, where you can’t seem to find any of the doctors. Or anyone at all, for that matter – no patients, no nurses, no visitors, zilch. It’s just you, your dog, and unexplained dark creatures out to get you. In your adventure, you will encounter puzzles that need to be solved, such as flipping portraits the right way around to find a key, or flipping electric switches. You will also meet other “people”, who are usually ghosts. You can choose whether you want to help them, or not with these decisions affecting which ending you get. In your journal are objectives that you have to accomplish in order to move forward in the game. In addition to solving puzzles and surviving attacks from dark creatures players will begin to discover a story centred around Claire’s past, and her mother. There are two key elements to survival in the game – panic, and health. As your panic increases, the game gets scarier. There are several modes in the game, and on Nightmare Mode, you can literally be scared to death. 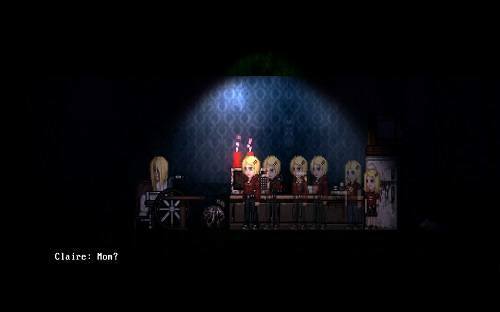 Claire is unique, scary and packaged into a great atmosphere, it’s a worthy buy for puzzle and horror fans alike. Every choice that you make will impact the ending. Scare level of the game is proportionate to your character’s level of panic.